Unfortunately, the quest for bigger profits and a larger share of the consumer market has compelled the processed food industry to turn a blind eye to the dangers and consequences of eating those very products. Moss’ book exposes the inner workings of the food industry and details how these food giants spend millions of dollars to make the food we eat more addictive. After reading his book, which took Moss four years to write and report, one may never want to consume another Cheez-It cracker or Lunchable again. Even though consumers may think food companies are trying to help their waistlines by offering “low fat” or “low sodium” items, that’s not actually the case. Companies will add extra sugar to “low fat” products and “low sodium” offerings tend to have both higher quantities of sugar and fat. Moss says the food companies profiled in his book understand that salt, sugar and fat “are their pillars, their holy grail.” These companies employ cadres of scientists “who specialize in the senses” and the industry “methodically studies and controls” the use of salt, sugar and fat. As a result, rising obesity rates have become a global problem. In the U.S. alone, two-thirds of adults are either obese or overweight. The Centers for Disease Control estimate that nearly half of American adults will be obese by 2030. 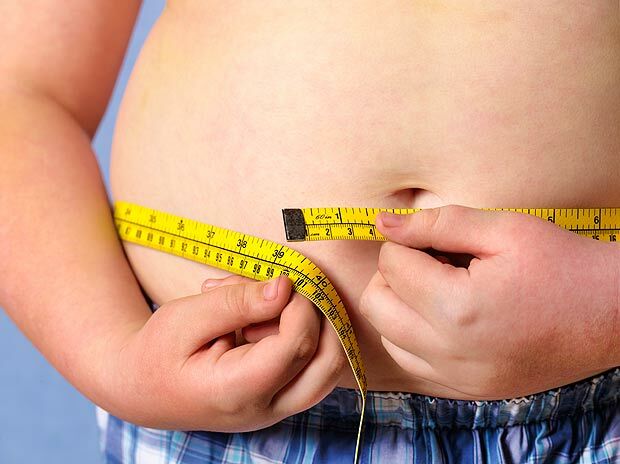 One in six American children is obese today. Although overeating and lack of exercise are often blamed for weight gain, cheap food and the general convenience and availability of it have also contributed to the obesity crisis. The average American eats 33 pounds of cheese every year. That’s triple what we ate in 1970. Americans ingest 8,500 milligrams of salt a day: double the recommended amount. The addiction to salt and sugar does not end with consumers. The food giants’ “relentless drive” to reach maximum profits at the lowest possible cost has given these companies no incentive to use real, wholesome ingredients. Sugar, for example, not only sweetens but “replaces more costly ingredients, like replacing tomatoes in ketchup to add bulk and texture,” according to Moss. Food executives need to seriously start examining the consequences of their actions. This entry was posted in GMO Information and tagged big ag, diet, food industry, GE food, genetically engineered food, genetically modified food, genetically modified organism, GM, GM food, GMO, michael moss, obese, obesity, salt sugar fat book by GMO Awareness. Bookmark the permalink. The saying “money is the root of all evil” came about for a reason. You are spot on with your assessment of sustainability. What is happening right now absolutely cannot be sustained for any length of time (Earth time) and I believe that evolved people will one day look back on what is being done in this time period (the takeover of corporatism which has been going on for thousands of years) as a horrific time in human development. That is if humans do not destroy the planet they live on, thus themselves, before future generations can look back. From GMO Awareness ….. Salt, Sugar and Fat …. We ARE hooked!! “◾The average American eats 33 pounds of cheese every year. That’s triple what we ate in 1970. ◾Americans ingest 8,500 milligrams of salt a day: double the recommended amount. Yikes!! That is very scary! !